A retelling of Daphne du Maurier's Rebecca, set in modern-day Long Island. Rebecca was one of my favorite books from a couple years ago, so I was really interested in how this book would update the classic. Like the original, we have an unnamed narrator who falls head over heels for a wealthy man, Max Winter. When he brings her home (to his mansion Asherly), she begins to feel threatened by the memory of his late wife, Rebekah, and she also must deal with Max's teenage daughter, Dani. Although this book paled in comparison a bit with the original, it was still a strong story. A retelling of Charlotte Bronte's Jane Eyre, in which Jane and Charlotte are actually close friends, and Jane can see ghosts. Jane Eyre is one of my favorite classics, so I was really looking forward to seeing how the authors would put their spin on it, and I was not disappointed! - how Helen, Jane's childhood friend, was a big part of the book, even after her death. 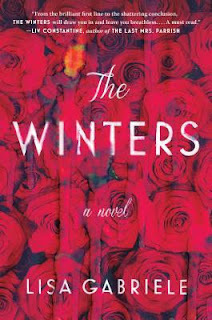 The Winters sounds interesting, although it's a pity it's not very suspenseful. I haven't read Rebecca yet but I desperately want to! I love Gothic novels. I think you would love Rebecca! The Lady Janies series so far has been fantastic! 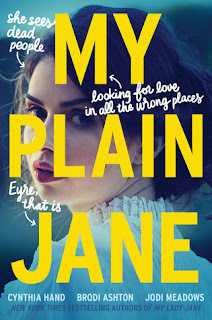 I usually avoid retellings like the plague, but I want to read those Jane books. They sound unusual. Great reviews! They are very creative and fun! I didn't think I would like them, but I really have! I've been really curious about The Winters. I love Rebecca and am picky about modern day stories, but you've made me more interested in checking it out. I've heard really good things about the Jane books also. Nice reviews! Thanks, Jordan! I think The Winters did a good job of retaining some big elements and modernizing others. The Janie books are really fun. I liked all the pop culture references and the whole Ghostbusters vibe. Haha, yes, I liked the Ghostbusters vibe, too! They are really fun books! Great reviews. The Winters sounds pretty interesting to me, although I still need to read Rebecca first since somehow I've never gotten around to that one yet. 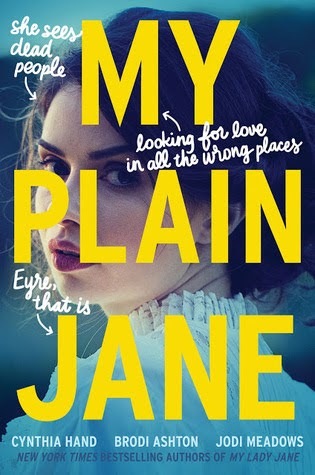 I know what you mean about My Plain Jane too. I liked it but not nearly as much as I liked the first book in the series. Rebecca was so good! I hope you enjoy it. Yeah, My Plain Jane was missing just a little something for me, so that was a bit disappointing considering how much I love Jane Eyre. The Jane's series has been on my TBR since I heard about the first one so now I really need to get to it. I think I should read the originals first though - I can't remember anything for all those years ago!!! It is such a fun series! No worries! I hope you enjoy these, Mary!